Dimensions: 11.0" x 8.5" x 0.5" Weight: 1.6 lbs. Toledo Night Clubs is only $14.95 plus $3.99 domestic priority shipping. Use the Add to Cart button and you can check out through Paypal. 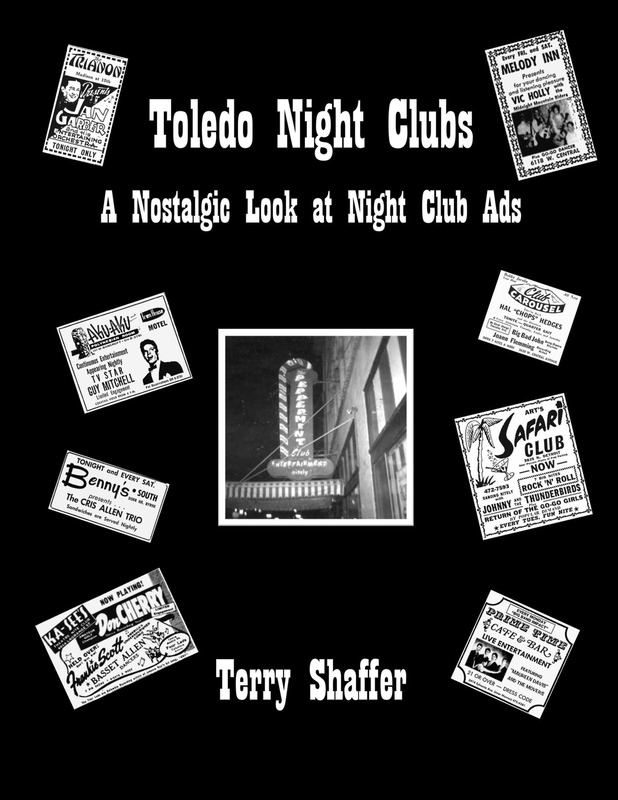 I'm happy to report that the book "Toledo Night Clubs, a Nostalgic Look at Night Club Ads” is now available. What's that? Tell me more, you ask? Certainly! 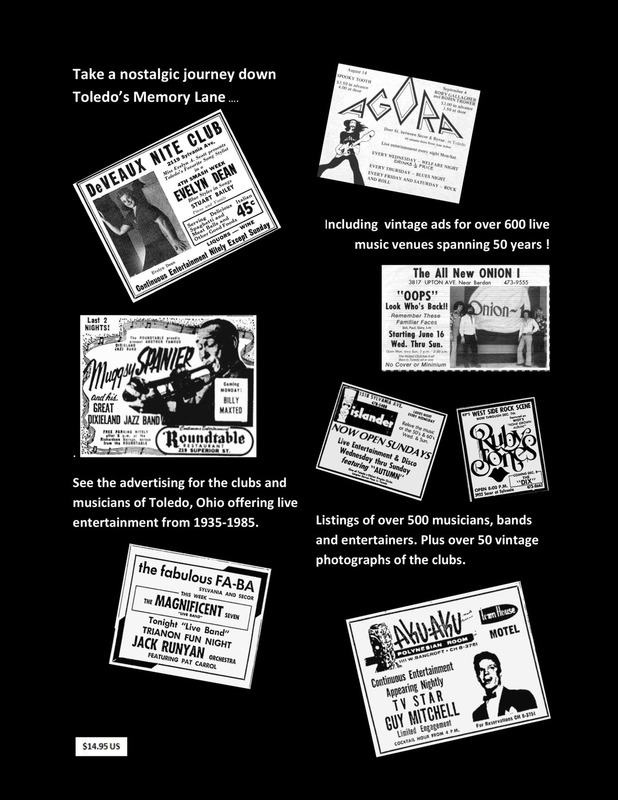 The book is filled with ads of live music venues from 700 clubs in Toledo, Ohio, including over 700 muscians, bands and entertainers spanning 50 years. You'll find ads from all the places offering live music from 1935-1985. What about pictures? I'm glad you asked! There are over 50 vintage pictures of the old clubs. 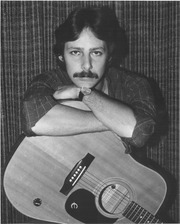 Terry Shaffer has been a resident of Toledo since 1966. A graduate of the University of Toledo and local business owner he has spent the past fifteen years researching and collecting vintage casino gambling chips.